At 11 years old, Jamal Galves knew that manatees would be his life. As a child playing the lawn of his grandparents house, he would watch their hulking figures float by, imitating the researchers who trailed behind them. He saw them tagging the massive gray animals, drawing blood samples and even recording their every exhale. Since then, Galves, now aptly known as "the manatee man," has made manatees his life. Galves, now the Belize Manatee Project Program Coordinator in his home village of Gales Point Manatee, is still, in his own words, "just that kid trying to save manatees." But now he's got a lot more sway than the teenager who was working for free on the researchers' boat, cleaning and observing until he finally got a chance to participate. Celeshia Guy There are several serious threats that have combined to make manatees one of the most threatened marine mammals in the world. Once traditionally hunted by indigenous people, now humans have figured out other ways to harm them. Ship strikes are one of the most common causes of death or injury, because boaters often ignore the wake bans in manatee habitats. Manatees can hear approaching boats, but often move too slowly to get out of the way. Galves says that while no-wake zones are clearly marked, enforcement is meager and people often don't slow down. "A lot of it has to do with peoples' lack of understanding or appreciation for manatees," he said. "They have no respect for wake zones or no reason to comply. To me, it seems like a small, easy thing for them to comply and just slow down." This coupled with pollution, loss of valuable coastal habitat like mangroves, and (still) the threat of poaching have been disastrous for the species in recent years. Sadly, some of the hardest hit are also the youngest, Galves said. "If a mother and her calf are feeding and a boat comes, the mother's first instinct is to run. They communicate using chirps at a low volume, and it's very difficult for them to get back together [after they've been separated]." Shelley Bowen Stonesifer This is where Galves and his team usually come to the rescue. 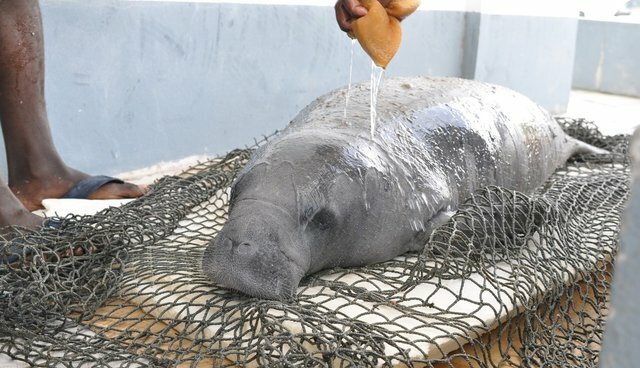 When they spot an abandoned manatee calf or hear of a report, Galves springs into action, collecting the orphan, who is usually dehydrated and on the brink of death. He usually has to borrow a truck and a boat to reach the animal, and then brings her to a rehabilitation center. He nurses her back to health with imported bottle milk, preparing her for reintroduction to the wild. Gillian Kirkwood The incidences of these orphans are increasing -- when Galves was younger, there would be about one calf rescue in a year. Now, there are three or four in just one year alone. 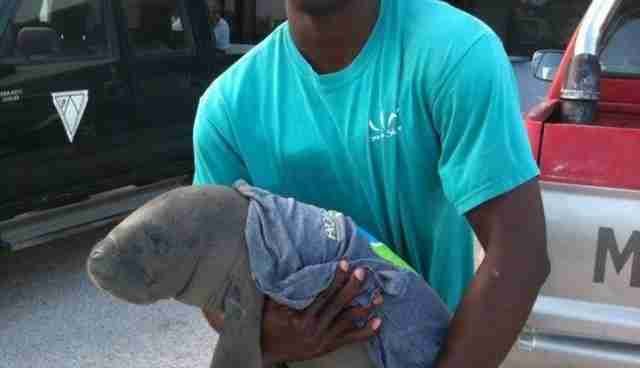 For manatees, who number at about 1,000 and have low reproductive rates, losing just one of these calves is a tragedy. 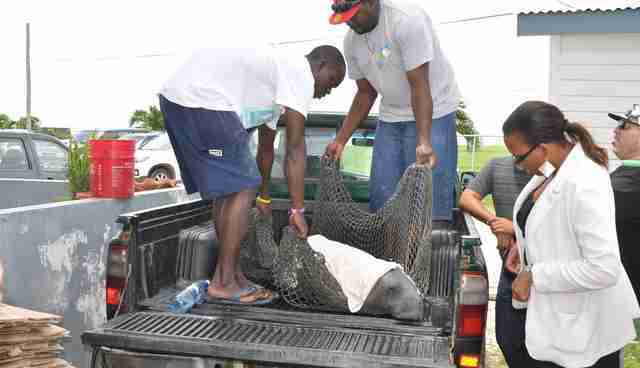 But thanks to Galves and his team, the calves -- and the rest of Belize's manatees -- are getting a fighting chance. "Some people are meant to be manatee conservationists, and thats what I am," he said, explaining that manatees' essential role to the ecosystem is reason enough to want to save them at any cost. 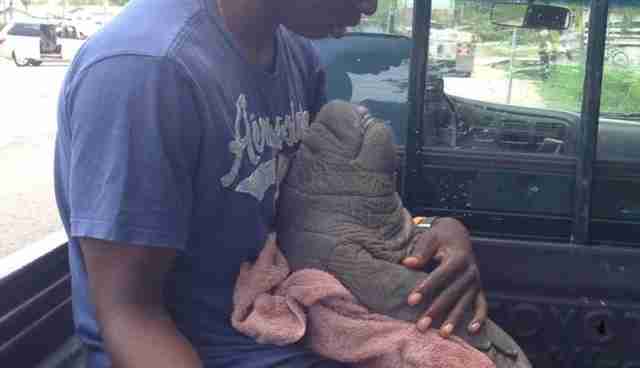 But because the costs of rehabilitation are so high (one bottle of milk -- which a manatee calf needs every two hours -- costs a whopping 14 to 17 U.S. dollars), Galves and his team have set up online fundraising platforms and are imploring people to help save Belize's manatees. You can donate to get Galves a rescue truck and boat here, and for much-needed rehabilitation infrastructure here.